As hydrogen is the only gas which dissolves in the aluminum melt on a large scale, the measured total pressure in the measuring probe corresponds to the partial hydrogen pressure. Diffusion of the hydrogen from the melt into the probe is very slow. 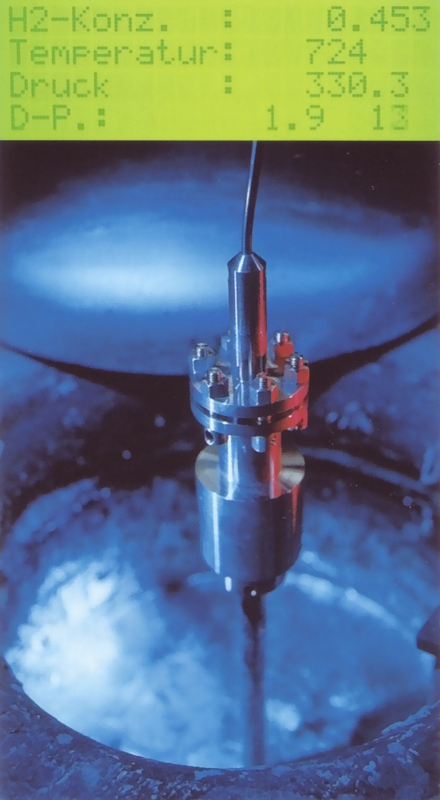 By means of specific doping of the measuring probe with hydrogen, the setting times of the balance can be reduced to a few minutes. As no sample needs to be taken in general if the hydrogen content in the melt is directly determined, this reliable process is perfectly suited for precise control of the hydrogen content of all melted aluminum alloys. 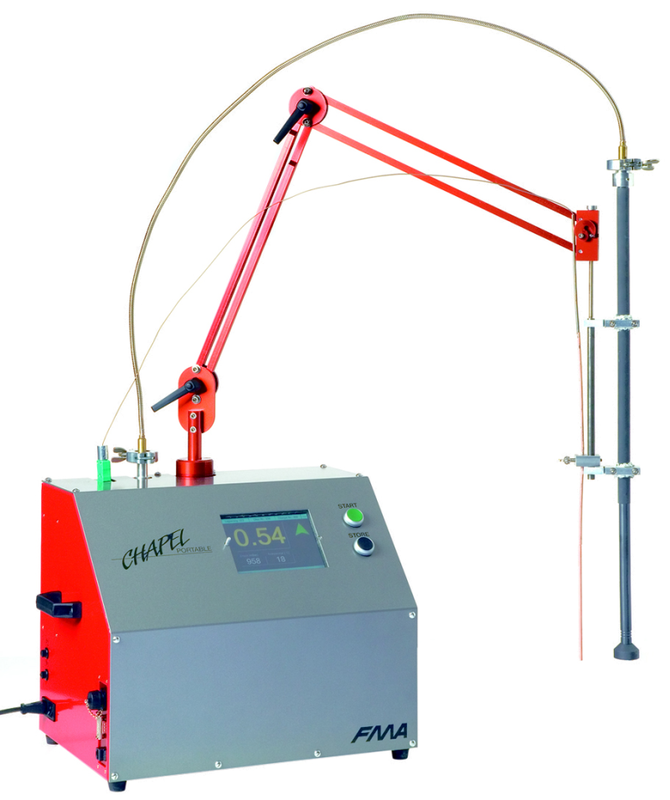 The Chapel process is suited for individual measurements as well as for continuous long-term monitoring of the hydrogen content in the melt. 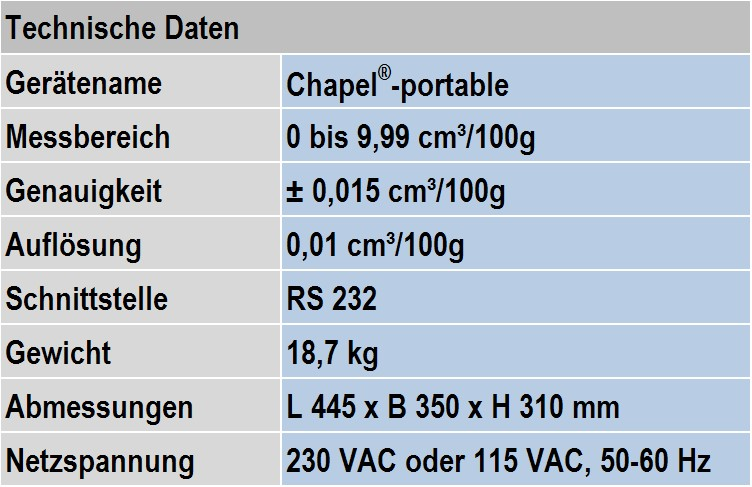 Thanks to its small dimensions and low weight, portable Chapel devices (Fig. 1, for technical data, refer to Table 1) are very handy, space-saving and perfectly portable. Handling is very simple at the press of a start button. No additional settings need to be carried out for alloy measurements. Thanks to its material, the long life probe features outstanding temperature shock resistance so that preheating the probe is not required (Fig. 2). Furthermore, the service life of the probe is extended to several months. The integrated printer records the measuring values either individually or continuously (one measuring value per second). The device can be operated via a menu: On the “Settings” screen, parameters can be defined and optimized or special alloy settings and printer functions can be selected. In the “Measuring” menu, operators can carry out individual measurements or display tendencies at the press of a button.